Posted on June 3, 2014	by Ken W.
Haven’t posted in a few days. Never the less, I’ve been pretty busy. My daily driver blew up on the freeway, doing 65mph! Results: 1 new car, less in the old cash reserve, and less monthly discretionary budget. Just as well; the Subee was old beyond her years and a maintenance monster. I decided to enlist some help in riveting the skin on the vertical stab. I just don’t have the reach to get those rivets in the middle of the first side. My neighbor, Cody, will come over tomorrow night to help for a couple of hours. In the meantime, I reworked 4 AN470AD4 rivets in the vertical stab skeleton that I wasn’t happy with. 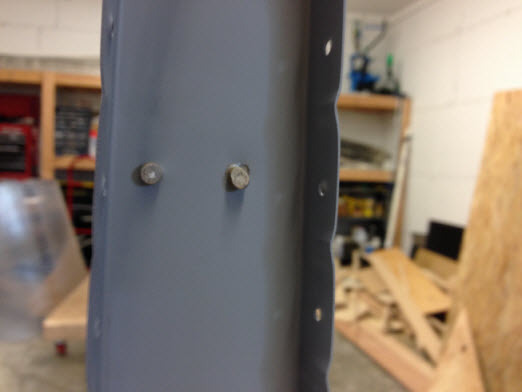 I really wrestled with the idea of drilling these rivets out. With the manufactured heads located on the flanges of the VS center rib, it was difficult to get the drill bit perfectly centered. That is, until I remembered the old Matco 90 degree, narrow head drill I rescued from Boeing surplus years ago! The thing works like a dream. 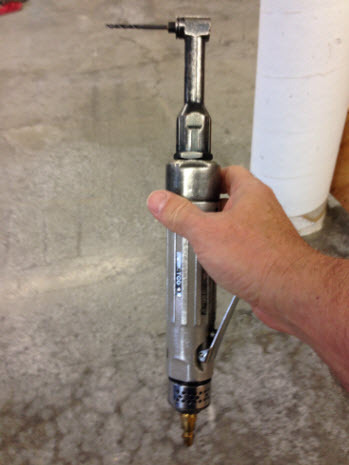 It uses short, threaded drill bits. And, it works great for this application. The rivet on the right is definitely not up to specs! 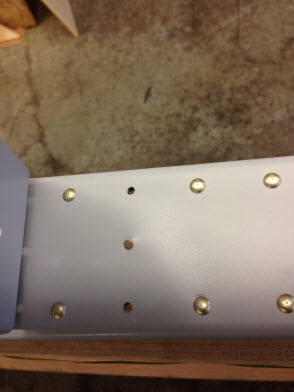 Other ugly rivets drilled out. That elongated center hole is gonna be a pain! 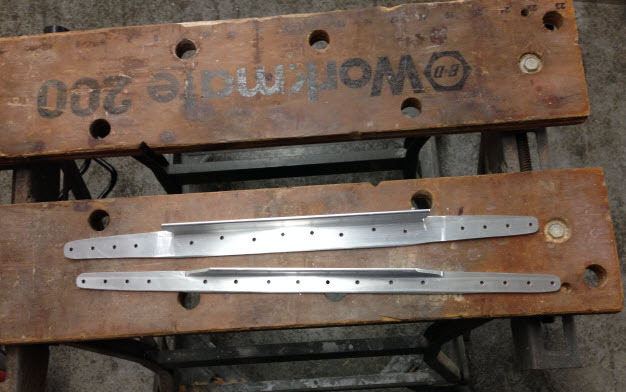 I also got the new HS-810-1 and HS-814-1, horizontal stab front spar stiffeners from Vans. The “-1’s” are pre-drilled and only need to have the ends radius and tapered. I was able to get that done with acceptable (although no perfect) results. This entry was posted in Empennage. Bookmark the permalink. That horizontal drill is really neat.